I know that some of you are tired of hearing about K-5 focusing problems, but I've been going crazy analyzing my photos in an attempt to come to some conclusions about the inconsistencies in the AF behaviour of my K-5 (FW 1.03). I have a zillion questions, but I'll start with the one here. Please have a look at K5_S2896+CR.jpg - File Shared from Box.net - Free Online File Storage. This is a 100% crop (Tamron 28-75/f2.8 at 28mm, f9.5, 1/500, ISO 200) created from DNG by ACR, with ACR defaults, except Fill set at 60 (so that the dark face is visible), and sharpening OFF. This particular image was chosen due to the amount of foreground visible, which should help with question #1 below. 1. What do you believe to be the plane of focus? About #1: At 28mm and f9.5, the DOF is huge, but it seems to me as if almost everything in the picture is more in focus than the intended subject This, of course, makes no sense, but that's how it looks to me. Feel free to tell me otherwise. I'd think that at SS of 1/500, subject motion is unlikely to be a factor. About #2: Yes, the dark skin was underexposed, hence we expect more noise, I suppose. But it does seem excessive for ISO 200, and also, we've seen some wonderful resurrections of extremely underexposed photos, yet I'm unable to replicate such results. It's difficult for me to say anything about the sharpness or noise of this image because of the JPEG artifacts. The only noise I can see in the subject's skin looks like JPEG artifact. But I can say that with the K-5, at ISO 200, if you push the fill light that much, you are going to see noise in the pushed areas. Even at ISO 80, pushing shadows a couple stops results in some noise. Can you post the DNG? I understand, but I keep on thinking about some of the very underexposed samples shown in several post, processed to remarkable levels. I think part of it is your processing. Could be wrong about that but Designosophy is correct. To get the best results in a shot like this, I would let ISO go Auto, Av mode, EV comp at about +1.3, Spot meter, and aim at her shirt. With center weighted metering, on a shot like this, your friend is always going to be severely underexposed. There's just too much bright area around her. If she fills more of the frame then metering mode may not matter so much. I didn't put any noise reduction on this but at 100% view, everything looks respectably in focus to me, especially for a 28mm shot. Last edited by JeffJS; 06-17-2011 at 09:04 AM. I think that I know why you think that the intended subject is less in focus than the rest of the picture. My belief is that it has to do with the sharpening algorithms that are always applied when a jpeg file is made - it is my experience that in general, things with sharp edges and high contrast (and good lighting) will look sharper simply because they respond better to sharpening algorithms. This is based on my own experience. I also have photos where a person seems to be less in focus than things around (in front of and behind) that person. The above is just what I think is the reason. Also remember that pixel-peeping a 16 Mpixel image means that you are enlarging it a lot. Here's a link to a zip file with the reprocessed DNG, as well as JPEGs that include NR and no NR. I'm glad I refreshed before I posted, because my results look similar to JeffJS's results, though I didn't give it as much NR in my NR version. I actually think this is a decent photo. To add to JeffJS's stellar advice (which is something I should keep in mind too), at 28mm and f/9.5, you're going to have a huge apparent DOF. Almost everything looks like it's in focus. My guess is that, with a fast lens like this, you're going to get your sharpest results around f/5.6 or 6.3. Not as much DOF, but maybe sharper where you want sharpness. This is just a guess - I've never used this lens before. I do hear a lot of great things about it, though. She's not just a little bit underexposed. I think she's around 3 stops under, maybe a bit more. And while the K-5 does an amazing job of recovering underexposed images, it's a matter of usable images, not the best possible images. 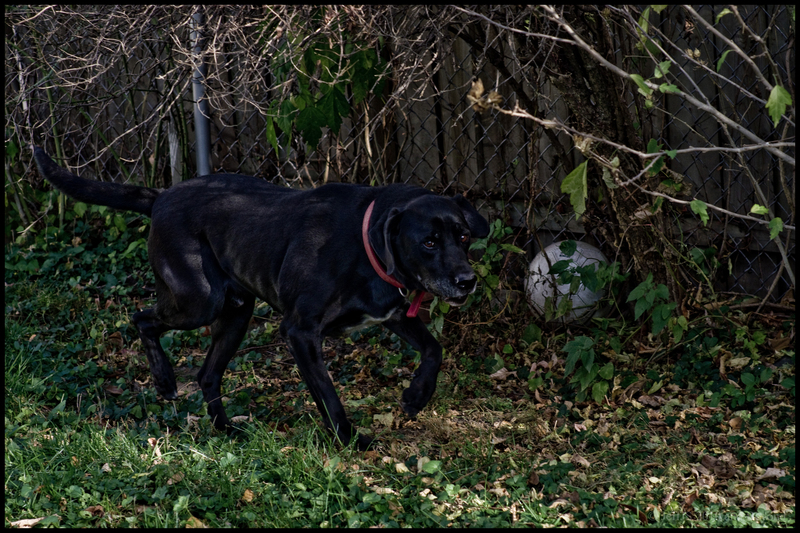 Adding sharpening to anything over ISO200 will result in visible noise (at least in LightRoom) at 100%, although it's largely INvisible on an 8x10 print, and can be virtually eliminated with judicious application of noise reduction (JeffJS demonstrated). When you zoom in on her, what you're looking at is the equivalent of cropping ~900x400 pixel image out of the middle of the frame. You've essentially created a torture-test scenario here, by putting bright sunlight behind your already dark-skinned subject - a double-whammy underexposure threat with all that white around her. For this scene, you'd need some serious fill, like, say, the white hood of that boat there! Or blow the highlights in the scene to bring her exposure up to something more usable. The JPEG in the link was not intended to demonstrate any processing. I merely shot up the FILL so that the face is visible, as it was too dark otherwise. I have no problems understanding the reasons for the underexposure. More often than not, I use slow sync flash in these situations. When necessary, I perform selective correction on the face in ACR. I am particularly interested in your comment that the shot looks respectable, because I've often asked myself if I'm simply expecting too much from my lenses, having been exposed to some very sharp images on this forum and elsewhere. Your first image looks snappy, but noisy (fair enough, without any NR). The second is clean, but I don't see it as being sharp. I'll be happy to be told that my expectations are excessive, as that would tell me that my gear is working adequately and I can stop fidgeting. Thanks for your efforts - much appreciated. Interesting idea, and it may be valid, but when looking at the virgin DNG, I still see the subject as unsharp. Your comment about pixel peeping may be the right answer, in that perhaps I'm expecting too much from a 28mm shot at this distance. Usually the very sharp images you see in this forum are downsampled, not 100%. I agree with JeffJS that this is an acceptably sharp image, and pretty close to what you can expect from 28mm @f9. To get better, you've got to use a wider aperture and sacrifice some DOF. My FA35, for instance, is sharpest at f4, and there, I get sub-pixel sharpness. By f8, though, it's clearly less sharp (at 100% - you can't tell the difference on an 8x10 print, for instance, until you get to f22). But to illustrate using your image as a guide - at f4-5.6, properly exposed and focussed, my FA35 would allow you to differentiate her irises, and maybe see the texture in her shirt, but at f9, I would expect it to look very much like this. As you say, the lens is supposed to be sharp, which is the reason I'm baffled by some of the results I get, though not just with this lens. I'm aware of the concept of diffraction, but this is just one snapshot of many, so no big deal. I am more concerned with what I've been taking to be bad focus than with the lack of absolute sharpness, so if majority opinion here is that this image is reasonable, so be it. It was my intention to post other questions pertaining to AF inconsistencies, but I'm beginning to wonder if some of those are answered by the comments here. Thanks again. I would have thought about two stops, assuming I'm not trying to turn her into a Caucasian , but fair enough. I understand all that you say, and many of my shots use slow sync flash, but this one is without. I didn't expect noise to show that large an increase, I guess. I meant in terms of sharpness. I don't know if you're expecting too much or not. I've never used that lens. Noise reduction comes at a cost as I'm sure you are well aware and my two samples demonstrate. If you hit the exposure closer on what you want to show, the NR will be unnecessary Supposedly Topaz DeNoise does a better job than ACR noise reduction but you couldn't prove it by me. With both, it seems to be a balance between noise, sharpening, and the artifacts that the processing creates. These were done with a K7 specifically to compare that camera's kit lens to an A28 f2.8 (at someone's request when I sold the 28). This is very enlightening information. I really would not have expected the differences to be so great as you describe. I'm definitely going to have to re-evaluate my evaluations of my photos, keeping your comments in mind. You are leading me to believe that at least some of what I've been taking to be AF inconsistencies are merely lens softness issues. I'll be pleased to find that such is the case. Nice work, thank you. As you say, the lens is supposed to be sharp, which is the reason I'm baffled by some of the results I get, though not just with this lens. I'm aware of the concept of diffraction, but this is just one snapshot of many, so no big deal. I am more concerned with what I've been taking to be bad focus than with the lack of absolute sharpness, so if majority opinion here is that this image is reasonable, so be it. It was my intention to post other questions pertaining to AF inconsistencies, but I'm beginning to wonder if some of those are answered by the comments here. Thanks again. No problem, and I understand where you're coming from. If you really want to test the sharpness of the sensor, then I would suggest testing with your sharpest prime. (You may be aware of this already; forgive me if this is not helpful.) For me, that would be the M 50/1.4. I've found it to be razor sharp when stopped down a little and properly focused, and I've used it on the K-x, K-7, and now the K-5 with very pleasing results.